I'm not a big romantic comedy fan, but I have a few golden favorites that I love to watch. This list includes movies that you can watch over and over again with the one you love, or anyone that enjoys a light-hearted romantic comedy. The elements that make a great romantic comedy include having a lustful character, a lusting character, a major struggle or obstacle keeping one character from living happily with the other, and an ending that is usually rewarding based on the fact that the couple is united. This list includes the best ones with the trailers included so you can decide whether you want to watch them right here. I hope you enjoy my selection and add a few of your own at the end of this list. Thank you for reading and enjoy snuggling up to these excellent films about love. I have included a rating system that indicates the movie rating, my age limit suggestions, and quality of script, editing, acting and story. I hope you enjoy watching and reading about some of my favorite romantic comedies. These films are guaranteed to make you laugh out loud. If you have any favorites you would like to add, leave them in the comments section. This film stars Ryan Reynolds and Anna Faris and is a film that will keep you laughing from start to end. The film begins with Reynolds in a fat suit, lip syncing a classic that I won't name in order to not spoil the fun of seeing it yourself. This story follows a dorky, teenage boy who is in love with his best friend, one of the most popular and wanted girls in their small Jersey town. The story jumps to the future, when Reynold's dorky character is now a successful, attractive and fit man living in Los Angeles and working for a prestigious recording label. When his plane is forced to land near his hometown, he jumps right back into his old life with the goal of impressing his first love. I was so excited to see this film when it was released in theaters. The cast is exceptionally funny--especially one of my new favorites, Kristen Wigg. She has been on Saturday Night Live for a few years now and is known for her over-exaggerated characters like Penelope and the Target Lady. She stars in this film as a baker and lonely maid of honor to her best friend and confidant played by Maya Rudolf. I know you will like this film. When I saw the previews, I never thought that the raunchy character played by Melissa McCarthy would be funny at all. On the contrary, she was the highlight of this film, playing a role similar to Zach Galifanakis' character in The Hangover. She brings so much humor to the film that also stands alone as one of the best romantic comedies of this time. The movie is about the status of the bridesmaids and their loyalty to Rudolf's character, while also centering around the romantic adventures of Wigg's character. The story line is so unique and doesn't follow the general story arch you would imagine. Right when you think Wigg's hit her bottom, she goes lower to a point that will make the milk come out of your nose. I hope you enjoy this film as much as I did, but do not watch it with your kids. If you enjoy pies and Keri Russell? You will probably love this film then. Jenna, played by Russell, is a pregnant woman living in the South. She is married to a horrible man, whom she hopes to leave after winning prize money for a pie-baking contest. She seems so unhappy and throughout the film, the viewer hopes that she can win and escape her husband's dreadful home. She meets a new man in her small town, whom she falls madly in love with. But, as a poor woman, she is unable to find the means to leave her husband to be with the man she loves. The story is riveting and emotional, while still sprinkled with comic relief. My mother and I love this film because of Russell and it's southern charm. I'm sure you will love it too. This is definitely one of the lost gems in romantic comedy. I hope you enjoy it. This film follows Kate Hudson's character as she struggles to take care of her recently-deceased sister's children. She is the type of young aunt that doesn't know anything about children and struggles to take care of them as their new mom. She deals with a promiscuous teenager alongside Joan Cusack, who plays a stricter, pregnant mother that doesn't let anyone get away with anything she wouldn't do. The story is quite sad, but is listed in the romantic comedies because despite it's somber story line, the movie is comedic and is about love--unconditional love and the extents one goes to to take care of those they love. I hope you enjoy this film as much as I did, but keep the tissues close, as it may push you to tears at parts. Do you like Ashton Kutcher? The late Brittany Murphy? France, Italy and Europe? You will love this movie about a newlywed couple on their disastrous honeymoon. The movie begins with a somber tone as Kutcher's character wonders where it all went wrong between him and his wife. The story then jumps to the day they met, where we watch their relationship start to form. In Europe, everything that can go wrong, does go wrong in this film. From a bloody nose and the clown car to the drab hotel and pushy ex-lover, this film will have you in tears because you are laughing so hard at the mishaps the poor couple endures. This is not a film for kids, so keep them in their rooms. The story is unique, funny and the writing is quotable. Men and women can enjoy this film's non-stop humor and never-ending plot twists. I hope you like it as much as I did. Julia Roberts stars in this funny, exciting and emotional film about a woman whose best friend is getting married. Her best friend in this case is a man that is marrying a woman Roberts' character has never met--a wealthy woman played by Cameron Diaz. Throughout the film, Roberts' character begins to feel something for her best friend and wonders if she can bare to watch him get married. This film has a great cast and an excellent story line with jokes that will make you rewind to hear them again. Roberts' character pretends that her gay assistant is her fiancé in order to not look so lonely. You may know this classic film for the famous karaoke scene, where Diaz shows us that she doesn't have the best set of pipes. You may also recall a scene where the whole family sings, "Don't Go Breaking My Heart." The film's music goes right along with the theme. It's light-hearted with enough drama and character development to make you root out-loud for the characters. 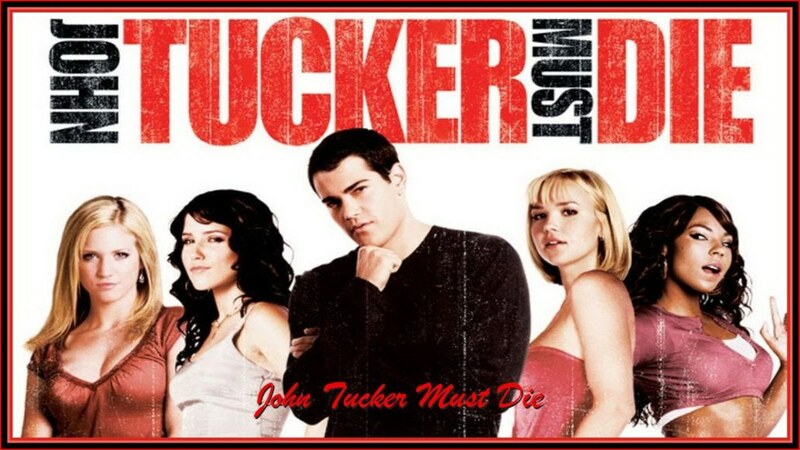 7 Movies Like "John Tucker Must Die"
UW, Those are really good ones! Thanks for reading and sharing your favorites. Thank you, Princess! I am not a big fan of rom-coms, but these are some of the movies I couldn't help but fall in love with. Thanks for reading and commenting! Rom-coms make for an awesome snuggle-in-the-blanket movie watching experience on a cold or rainy day. You have picked a nice selection of rom-com flicks and your personalized review/rating panel is pretty cool. Nicely done!